Injen Technology's SES line of exhaust systems are dyno tuned for your specific vehicle. These exhaust systems will compliment Injens performance intake systems. When doing so, the SES exhaust provides maximum horsepower and torque gains across the entire power band. Super SES parts are manufactured from 100% 304 stainless steel. Each exhaust system features mandrel-bent stainless steel tubing and is TIG welded for strength. 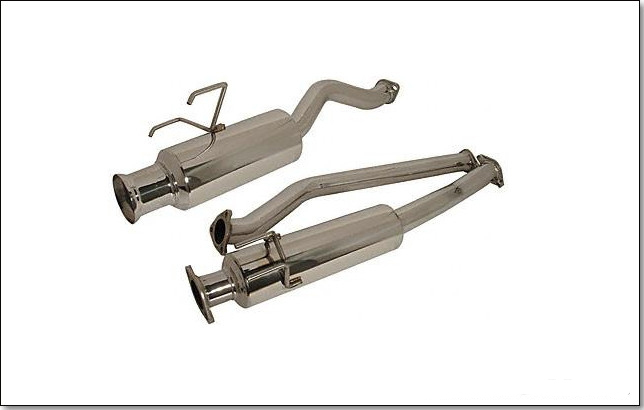 In order for this exhaust system to fit on the 2.4L models, it will require you to slightly modify the exhaust flange. All that is needed is to widen the bolt holes. The bolt holes on the 2.0T are spaced at a smaller diameter than the 2.4. This could be done within minutes at a professional installation facility.